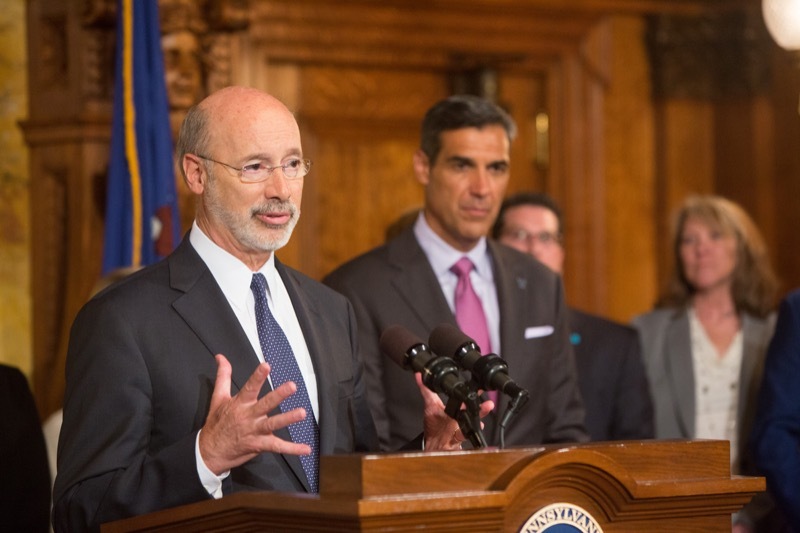 Today, Governor Tom Wolf and Jay Wright, head coach of the NCAA National Championship Villanova team, held an 'It's On Us PA' press conference to discuss the importance of combatting sexual assault on college campuses. 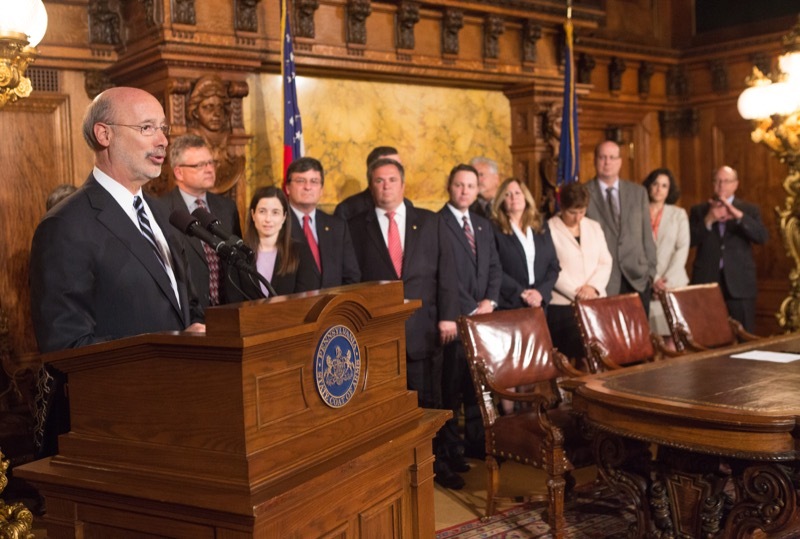 'It's On Us PA' is a statewide campaign that invites everyone to play a role in ending sexual assault. 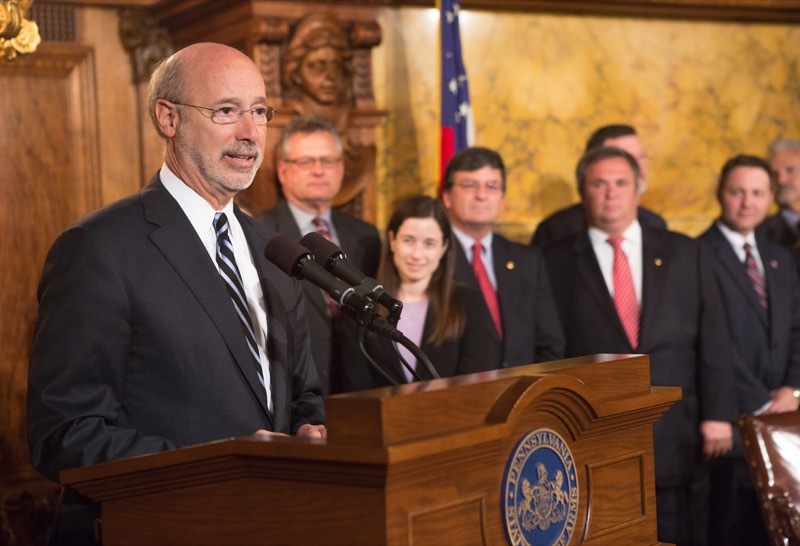 Pennsylvania was the first state in the nation to launch an 'It's On Us' campaign. 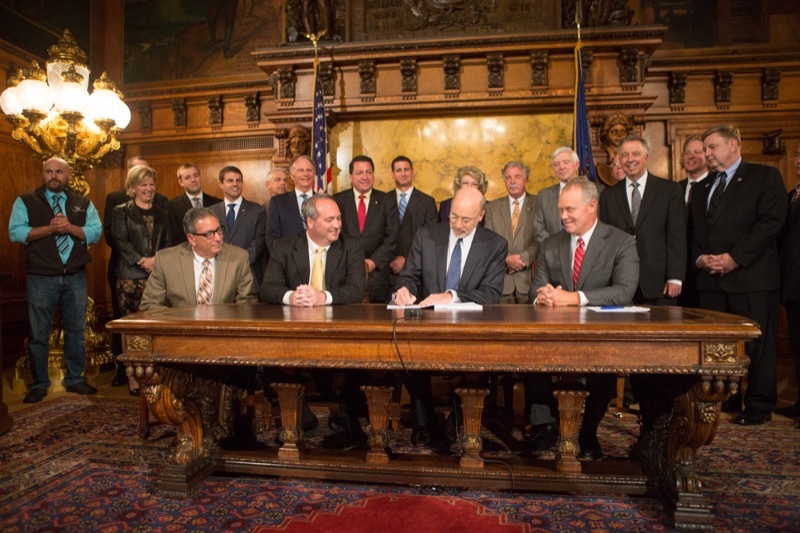 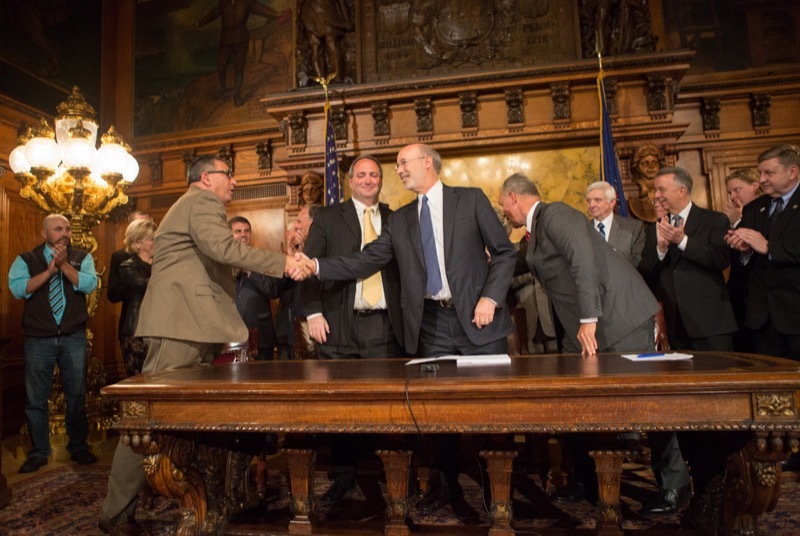 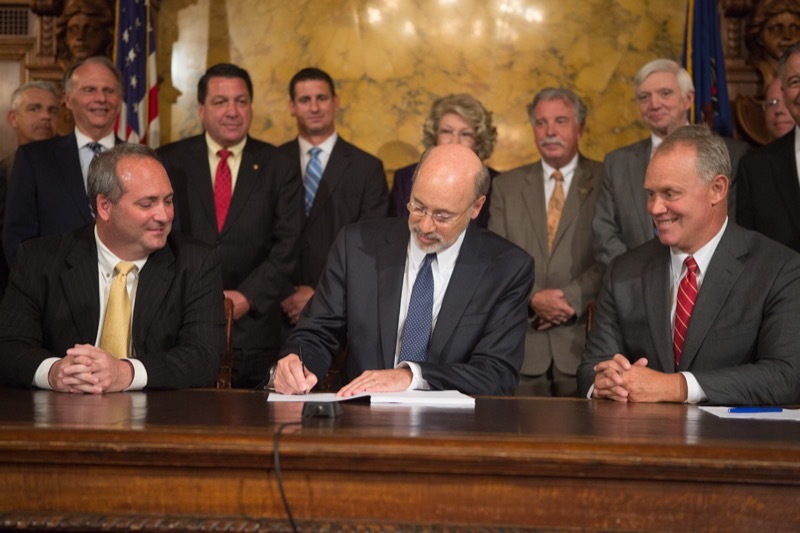 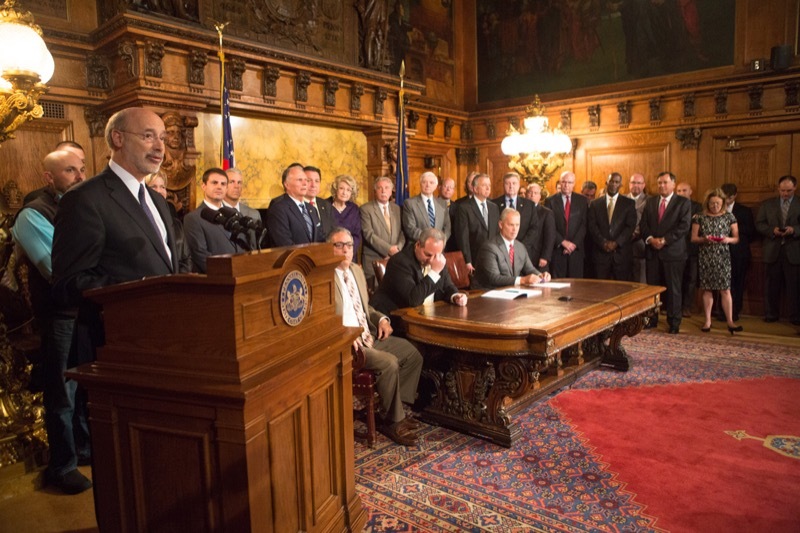 Today, Governor Wolf was joined by legislators to sign a historic liquor reform bill that will enhance the customer experience by providing greater convenience and satisfaction. 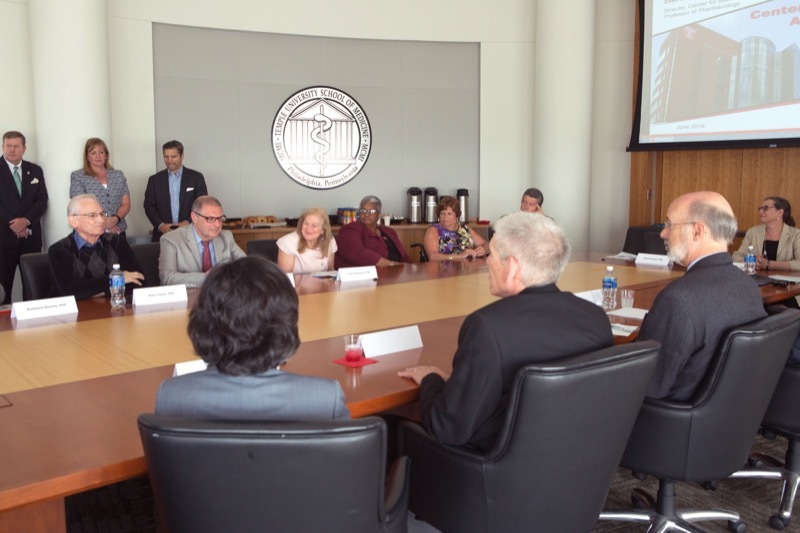 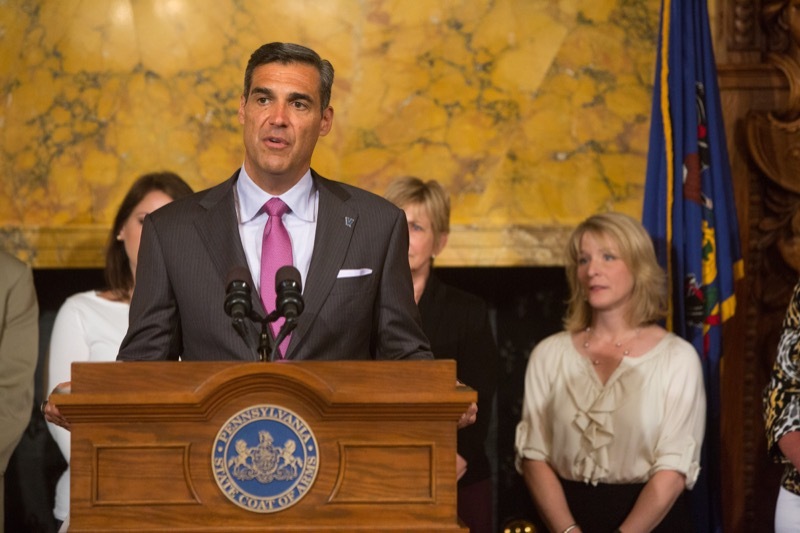 Governor Tom Wolf and Jay Wright, head coach of the NCAA National Championship Villanova team, held an 'It's On Us PA' press conference to discuss the importance of combatting sexual assault on college campuses. 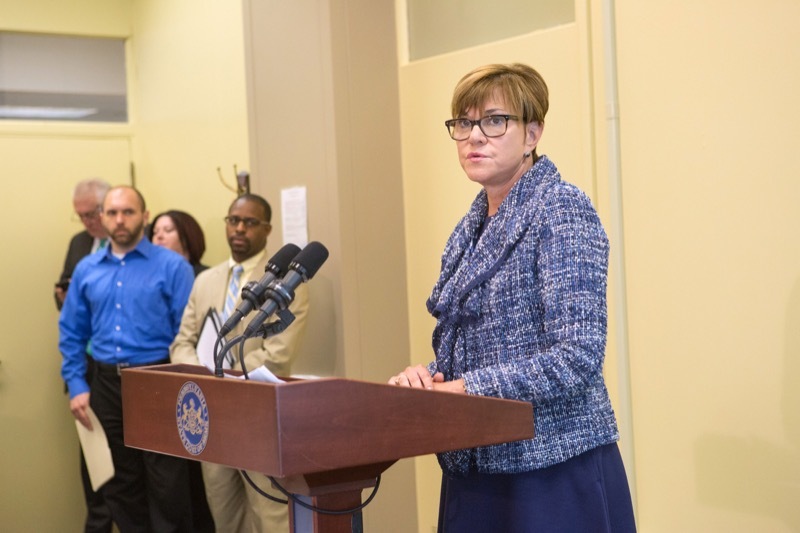 'It's On Us PA' is a statewide campaign that invites everyone to play a role in ending sexual assault. 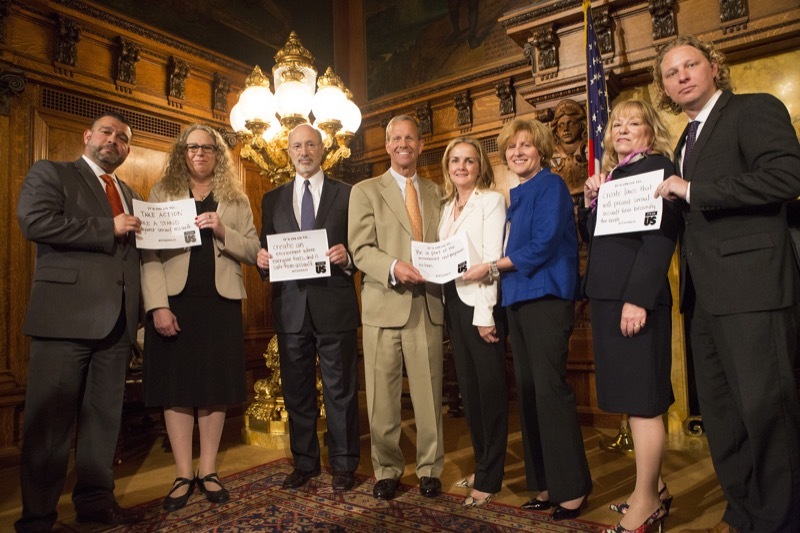 Pennsylvania was the first state in the nation to launch an 'It's On Us' campaign. 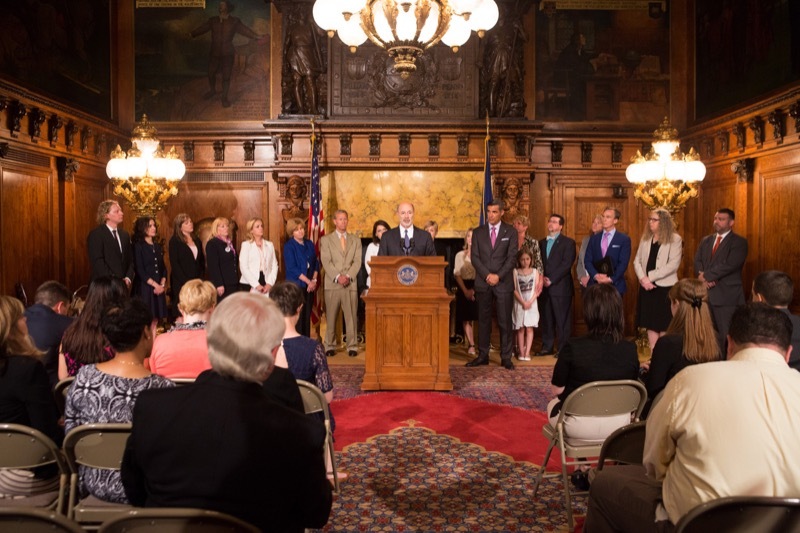 Governor Tom Wolf today joined members of the General Assembly and education advocates to markthe enactment of a permanent fair funding formula for Pennsylvania schools. 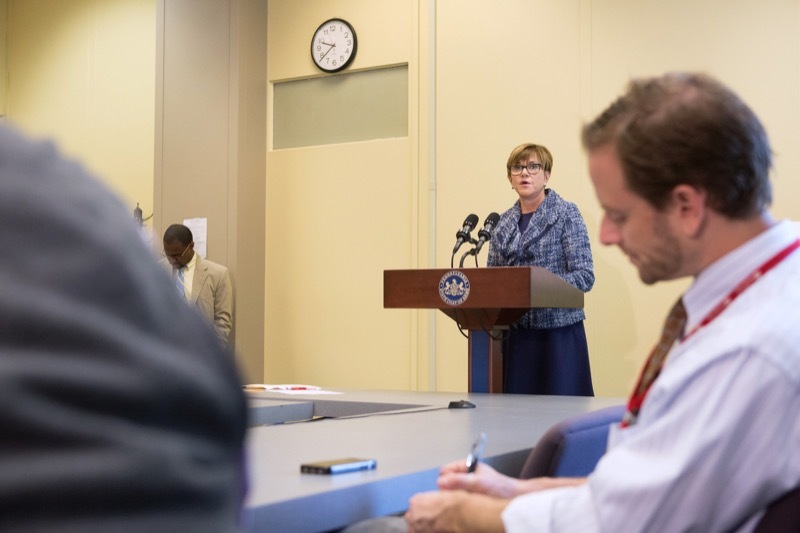 He also echoed his call for the upcoming budget to include the additional funding necessary to flow through the formula to begin restoring equity. 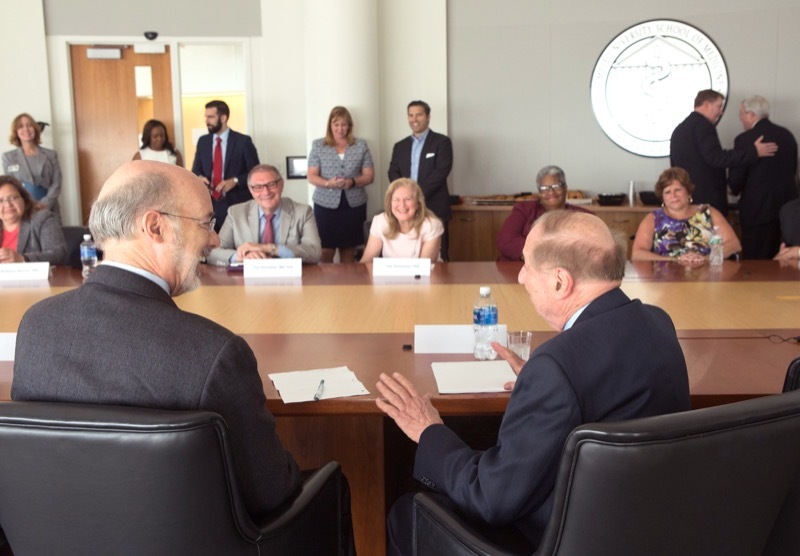 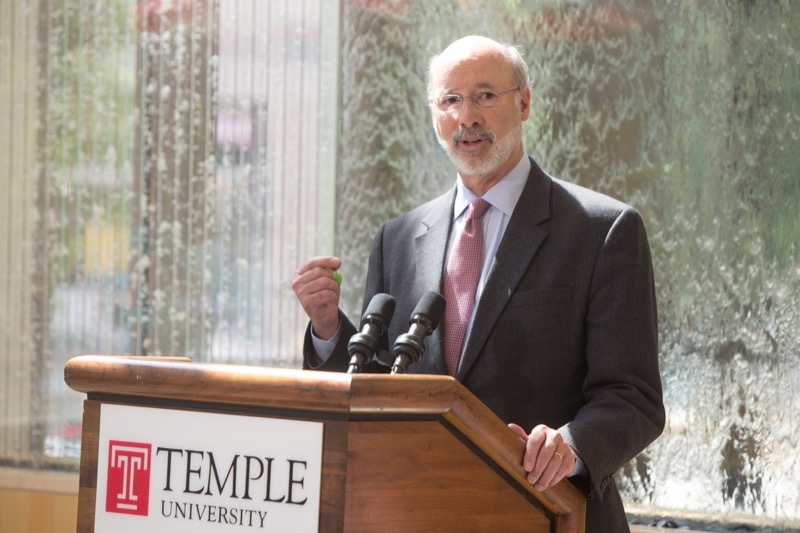 Governor Tom Wolf today joined members of the General Assembly and education advocates to praise the enactment of a permanent fair funding formula for Pennsylvania schools. 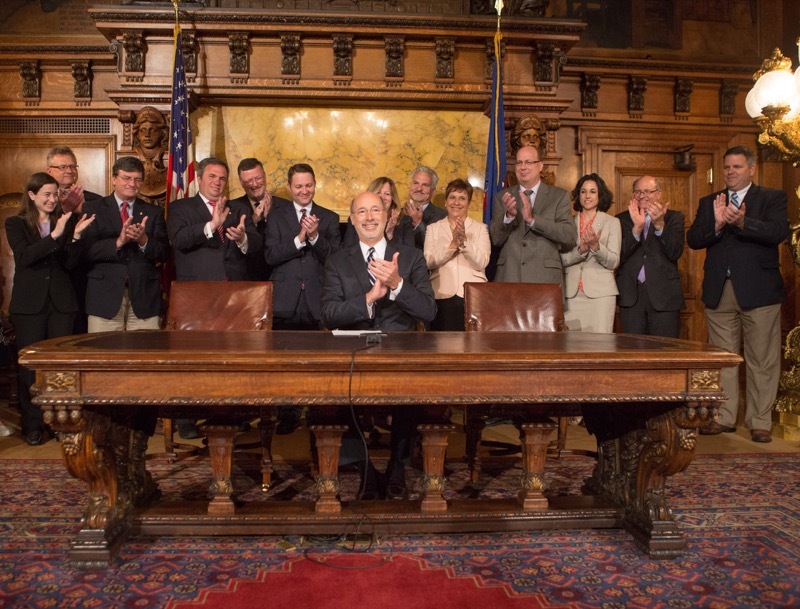 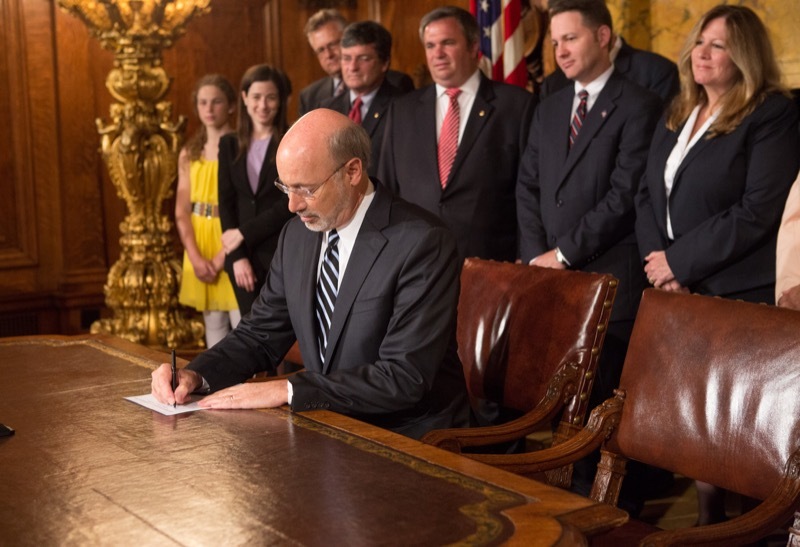 This week, Governor Wolf signed a fair funding formula into law, making Pennsylvania's system of school funding fairer and more equitable. 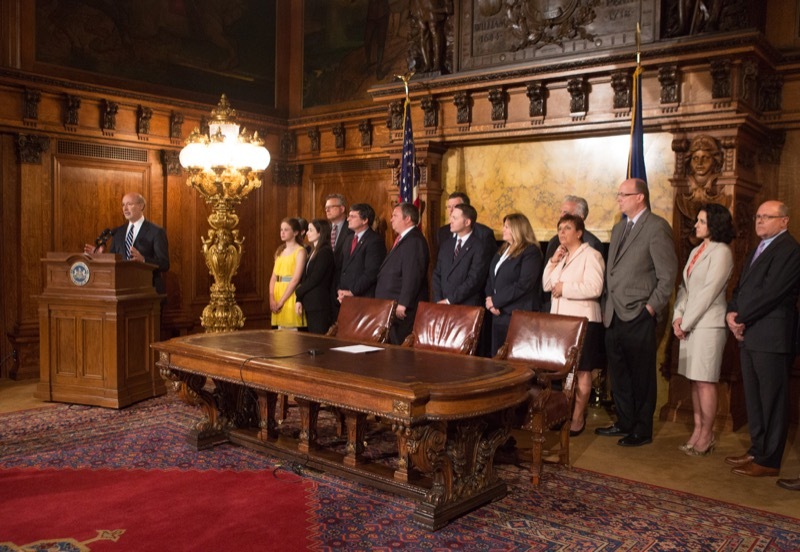 Prior to the signing of this bill, Pennsylvania was one of only three states in the nation without a fair funding formula. 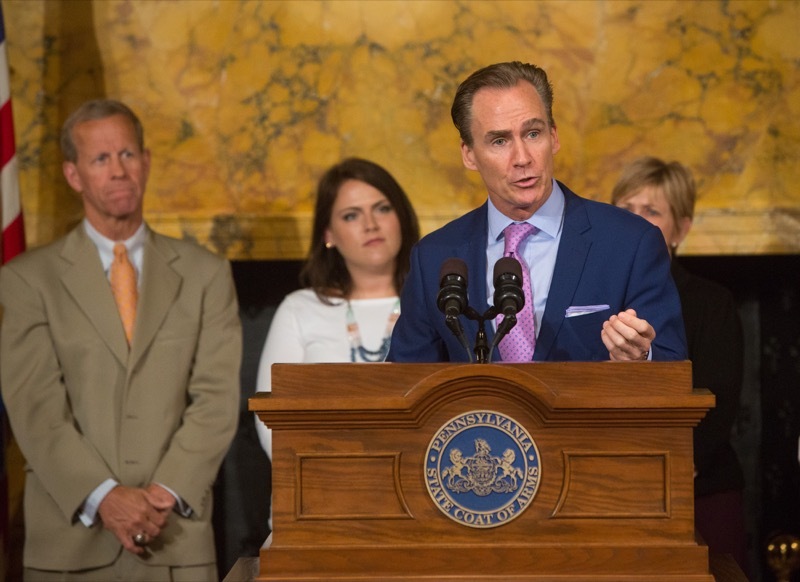 Having a formula in place will assure school districts that new funding will be distributed equitably and investments in education will no longer be determined by the influence of one legislator over another. 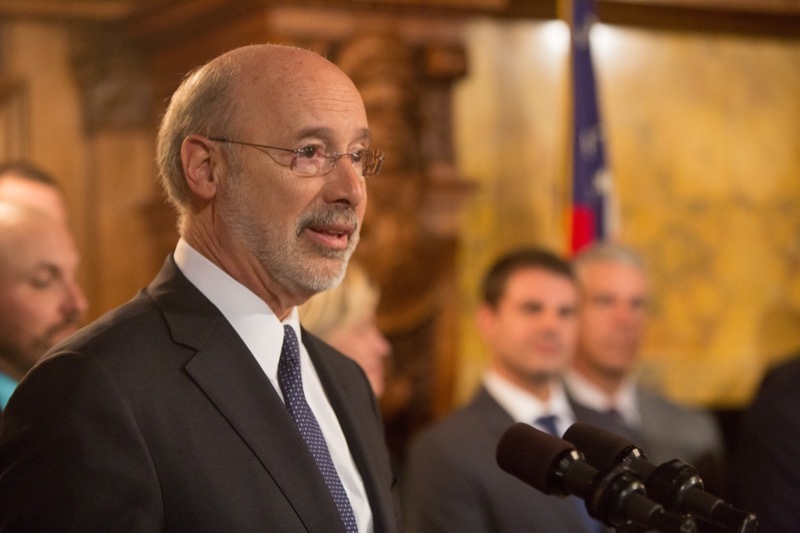 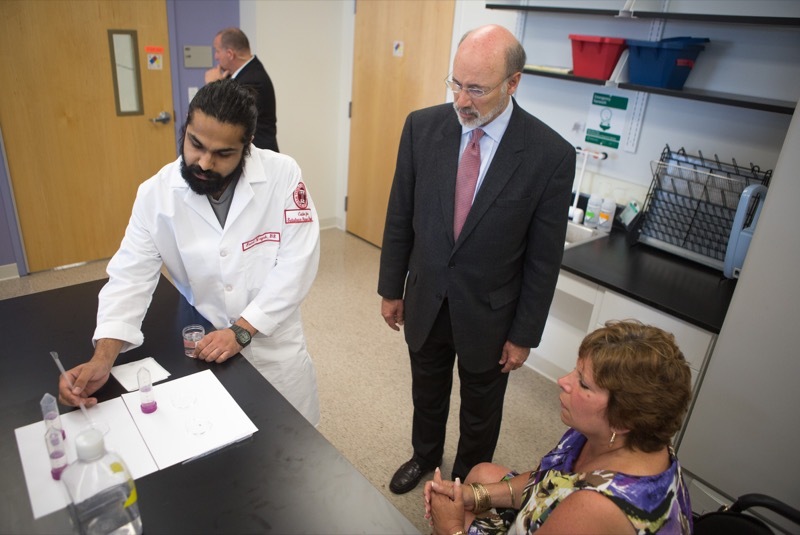 Today, Governor Tom Wolf will held a press conference to discuss Pennsylvania's opioid crisis and discuss the $34 million request he made in the upcoming budget to fight the epidemic. 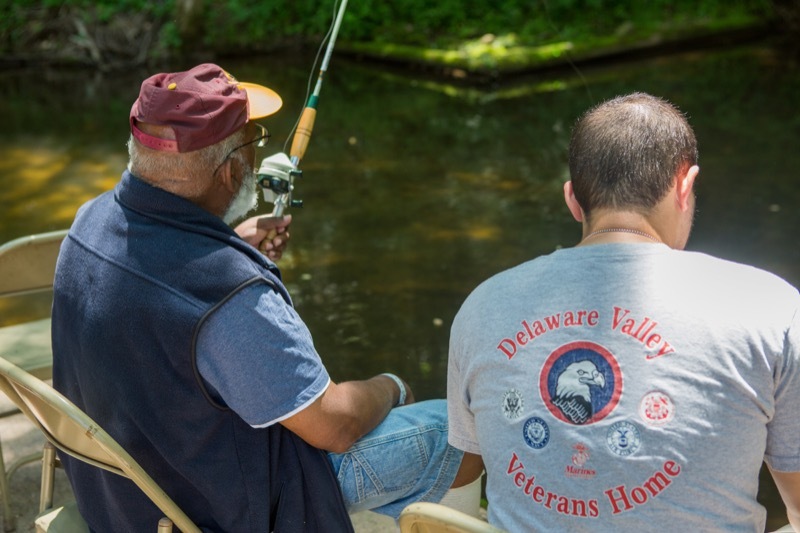 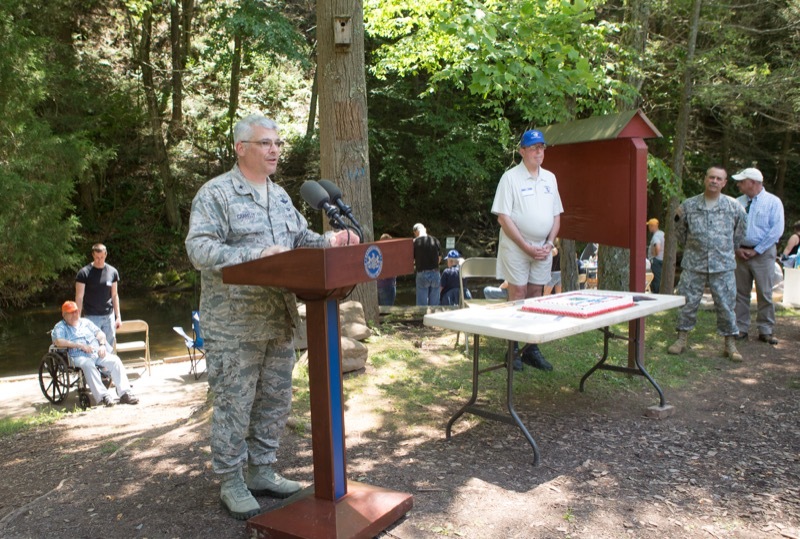 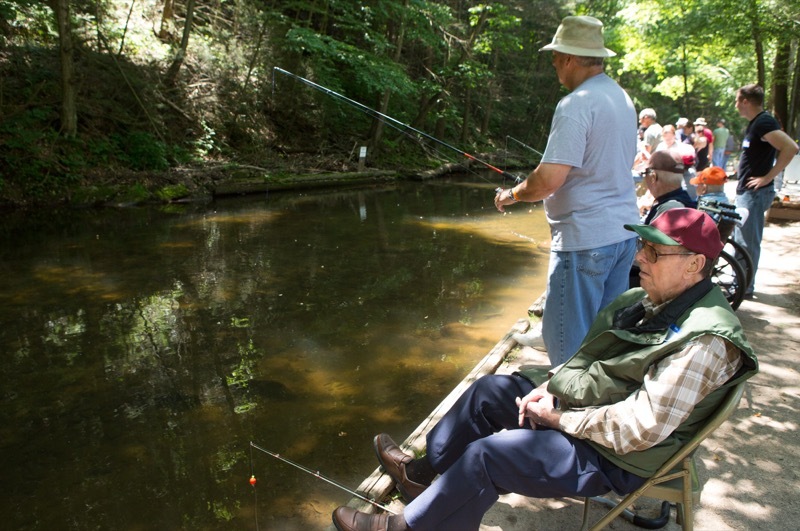 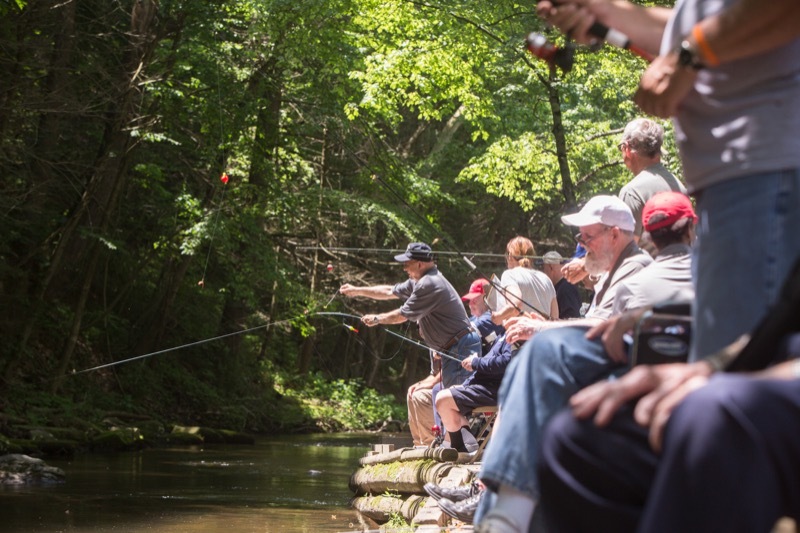 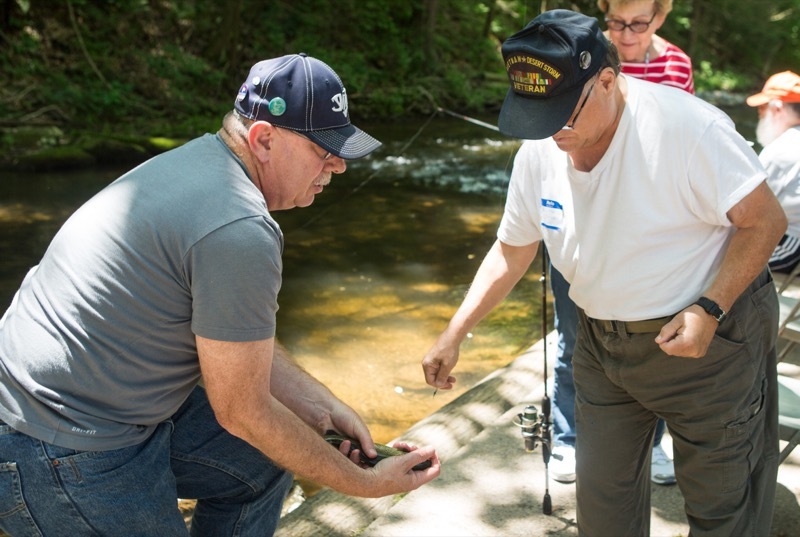 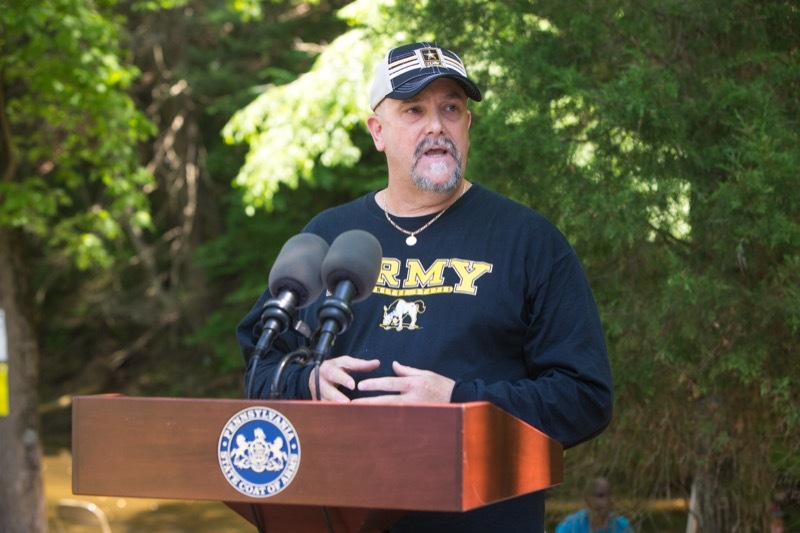 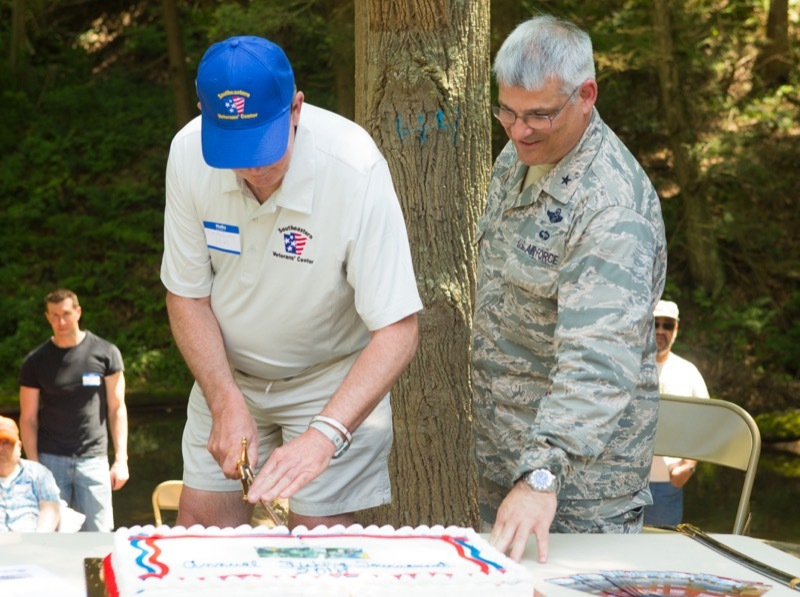 Dauphin, Pa. - Residents from three State Veterans Homes spent the day at the Dauphin County Anglers & Conservationists Club in Dauphin for an annual fish tournament hosted by Brig. 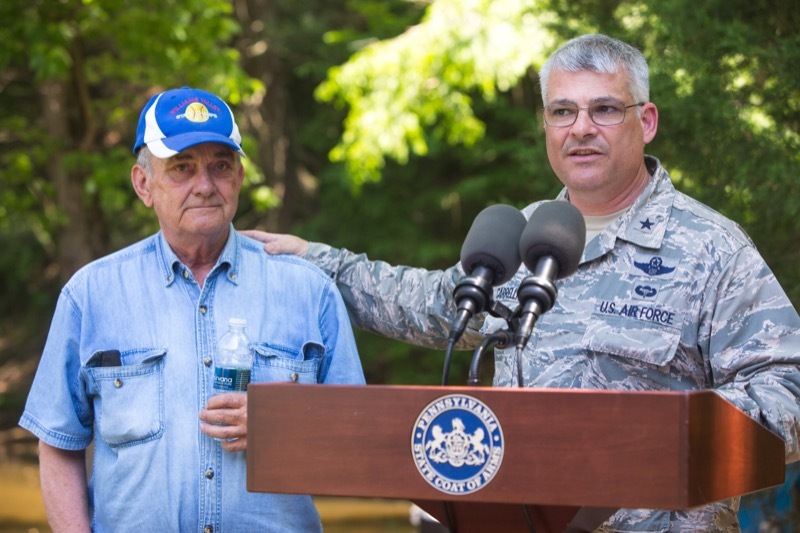 Gen. Tony Carrelli, acting adjutant general for the Department of Militar y and Veterans Affairs. 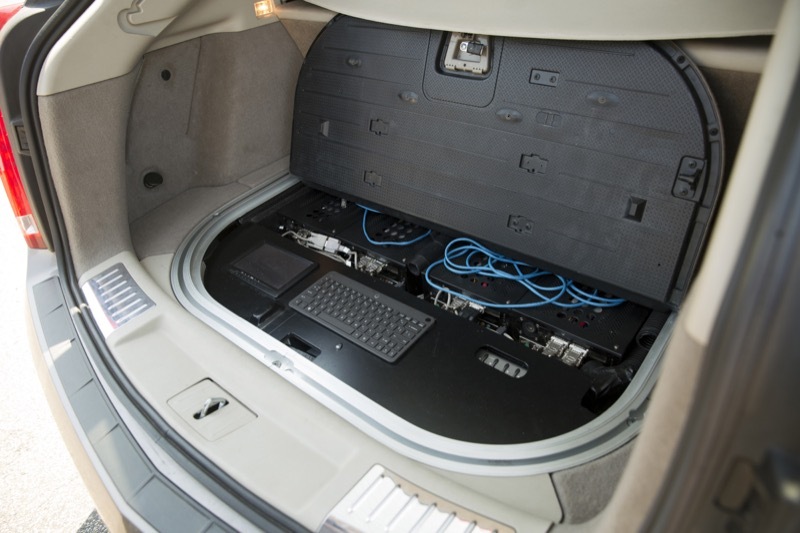 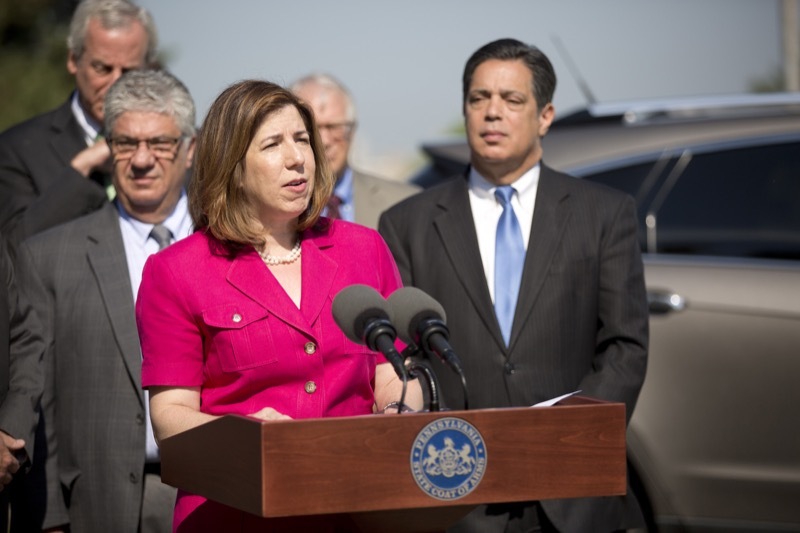 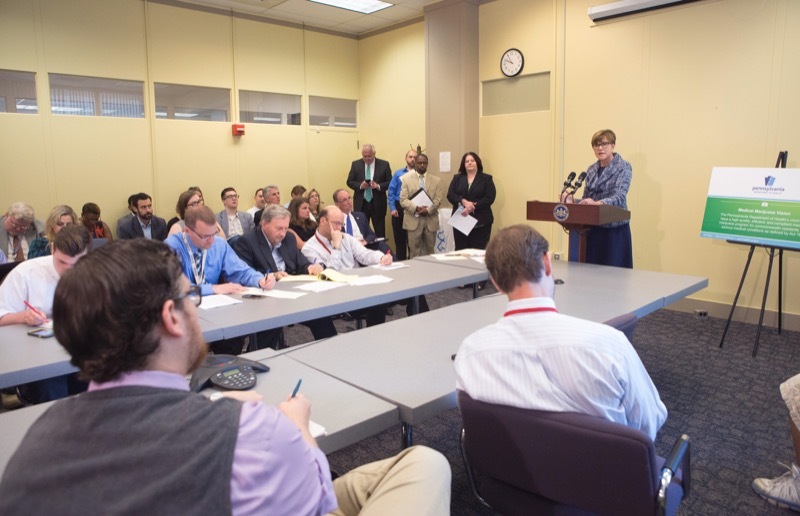 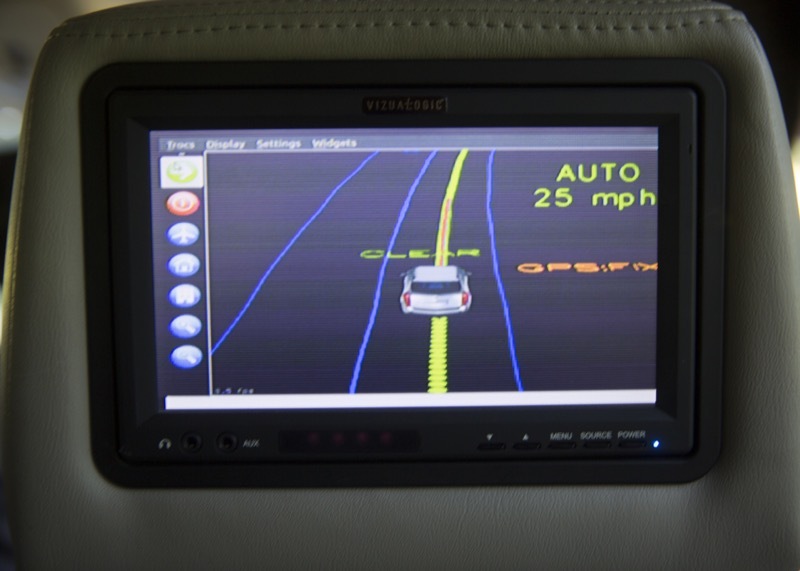 PennDOT Secretary Leslie S. Richards today joined elected, industry and other transportation officials to mark the state's continued and progressive steps as a national leader in the safe, innovative development of autonomous and connected vehicle technologies. 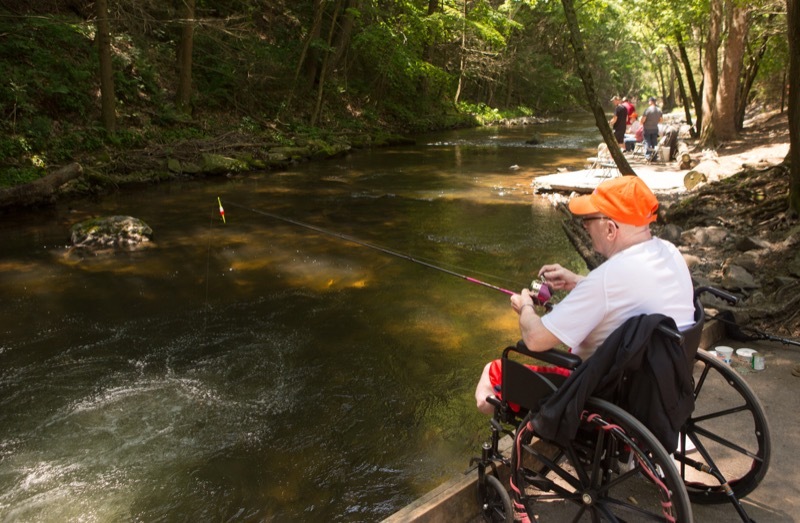 Residents from three State Veterans Homes spent the day at the Dauphin County Anglers & Conservationists Club in Dauphin for an annual fish tournament hosted by Brig. 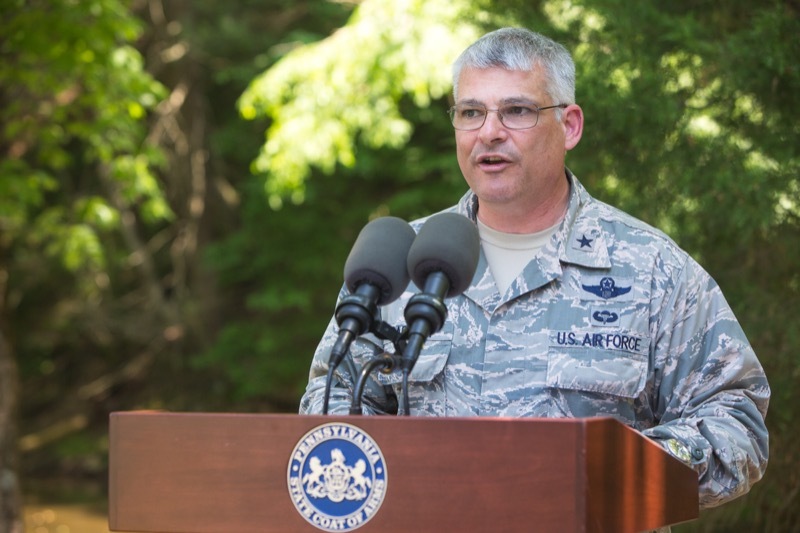 Gen. Tony Carrelli, acting adjutant general for the Department of Military and Veterans Affairs. 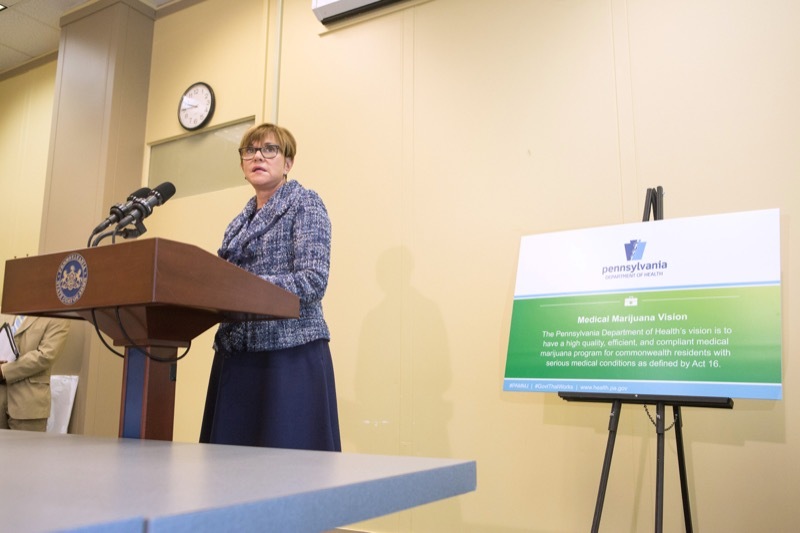 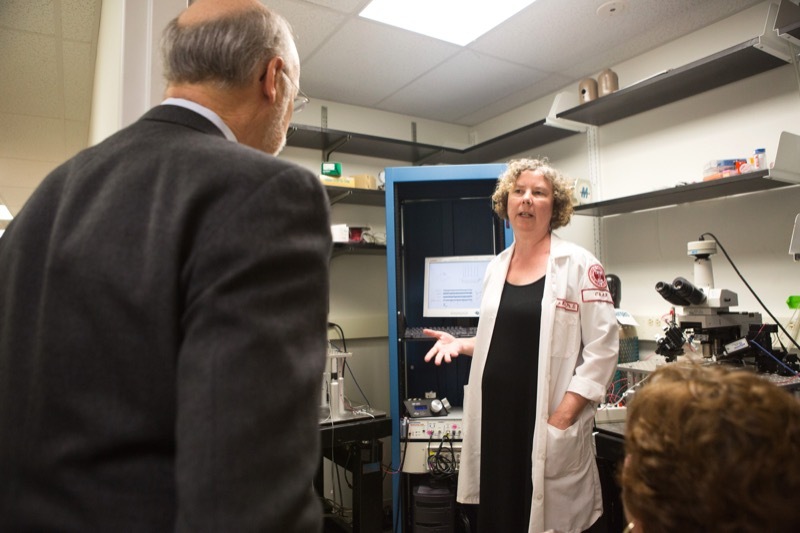 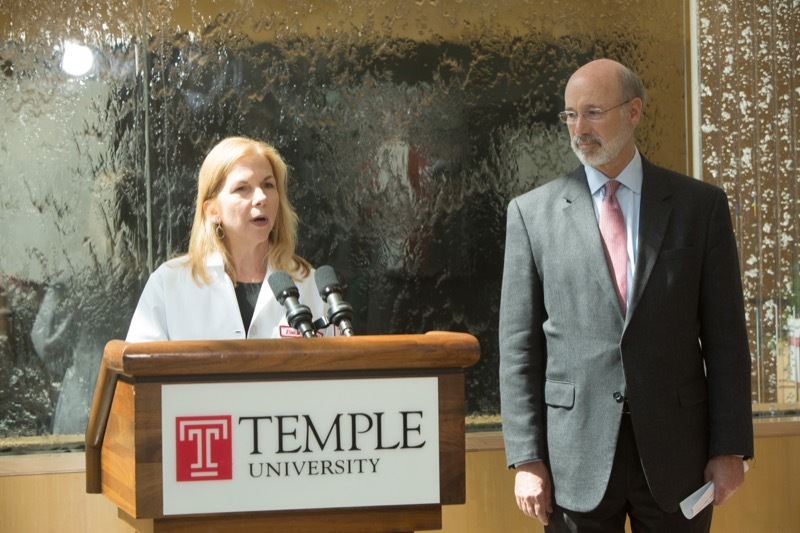 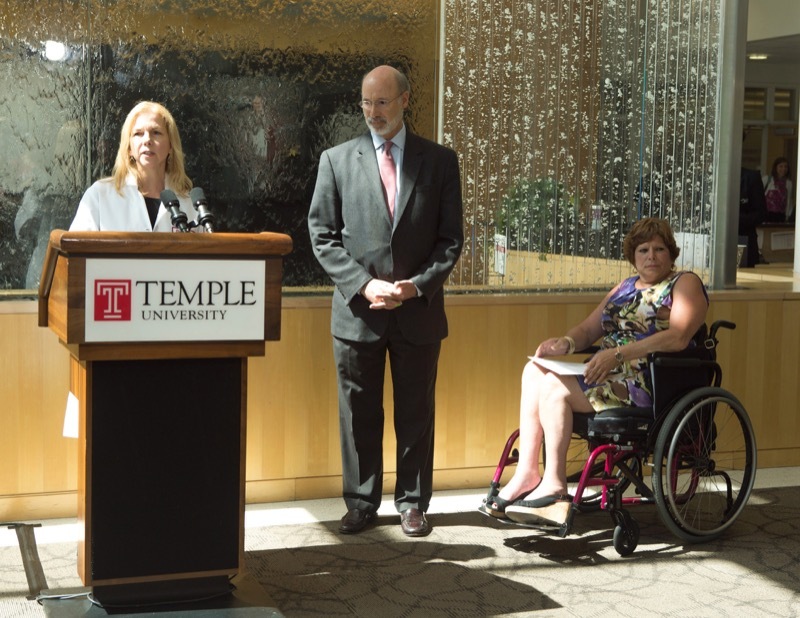 Department of Health Secretary Karen Murphy today announced the department has started working on temporary regulations in order to implement the medical marijuana program in Pennsylvania and will be seeking input from the public, stakeholders, and partners throughout the process.